French tour guides share tips for enjoying the highlights of the glittering Côte d'Azur, as well as recommendations for elegant day trips from Paris. Plus, author Graham Robb tells us what his bicycle adventure across the French countryside taught him about France's provincial character and history. Rick's itinerary suggestions for the French Riviera. Trip Advisor participants discuss sights and itineraries in the Côte d'Azur of France, including the Cour Saleya market in Nice. Graham Robb has his works listed on his publisher's site at W. W. Norton. "The Discovery of France" won a number of prestigious awards when it was first released in 2007. Graham Robb has since written "Parisians: An Adventure History of Paris." Graham Robb has also written about the Celts, in "The Discovery of Middle Earth" (W. W. Norton). It was released in the U.K. under the title "The Ancient Paths" by Picador / Pan Macmillan. His latest title is "Cols and Passes of the British Isles" (Penguin). Rick says the Château de Versailles is the most extravagant palace in Europe. The English-language website for the Château de Vaux le Vicomte includes admission information, when the fountain water shows are on, and details for arriving by public transit from Paris. Rick and fellow travelers offer advice for planning a visit to the palaces at Versailles and at Vaux le Vicomte. 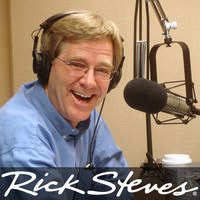 The Rick Steves website has online interviews with France tour guides Patrick Vidal and Elisabeth van Heist. A delight for the senses.